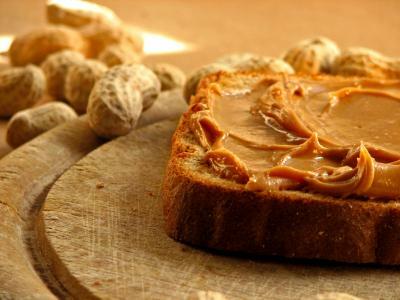 For those who have a passion for smooth or chunky, the Amazing Peanut Butter Diet is an answer to their diet woes. Reported to help a dieter following the plan lose up to 25 pounds in one year, the diet allows peanut butter everyday. Although reported to be a food high in fat, peanut butter seems to displace the myth that it's an unhealthy part of a heart-healthy diet. In fact, according to a study performed at Pennsylvania State University in State College, the consumption of peanut butter tends to have twice the effect of a low-fat diet. Results of the study indicate that following a diet rich in monounsaturated fats and including peanuts is as effective as low-fat diets at lowering total cholesterol and bad LDL cholesterol. Additionally, a peanut butter diet lowers threatening triglycerides by 13 percent, while a low-fat diet increased them by 11 percent. The American Heart Association's diet plan for persons with a variety of issues including diabetes or glucose intolerance, high blood pressure and high triglycerides includes unsaturated fats. These individuals are encouraged by the AHA to avoid very low fat, high-carbohydrates diets. For those who just can't seem to lose weight, this diet may be the answer. After following diets based on eating cereal, drinking beverages or consuming ridiculous amounts of water, this may provide enough variety for even the hardest-to-satisfy appetites. Studies have indicated that by following this diet for an entire year, a person may lose up to 25 pounds within a 12-month period. Additionally, those who follow this diet are more likely to maintain their weight for a period of up to 18 months, according to the research. Breakfast: - Cook up 1/4 cup dry old-fashioned oats and combine it with 2 tablespoons chunky peanut butter and 1/4 teaspoon cinnamon. Drink one cup of fat-free milk, and eat 4 dried apricot halves. Lunch: - Eat two cups mixed salad greens combined with 1/2 cup canned kidney beans, one small chopped pear, 2 teaspoons extra virgin olive oil, 2 teaspoons balsamic vinegar, 1/4 teaspoon dried basil and a sprinkle of garlic powder. Additionally, you may eat one slice of multi-grain bread. As a snack, you may drink 3/4 cup of tomato juice. Dinnertime: - 2 ounces of stir-fried lean pork tenderloin. Mix this in with 1/2 cup of snow peas, 1/2 cup of broccoli florets and 1/2 cup of slivered red bell peppers. This can be stir-fried in 1 teaspoon of peanut oil. Season the meal with 1 tablespoon low-sodium soy sauce and 1 teaspoon Asian five-spice powder. This should be served over 1/2 cup cooked brown rice. As an after-dinner treat, you may eat 1/2 whole wheat English muffin with 2 tablespoons of peanut butter on it. The key to the Amazing Peanut Butter Diet is to maintain proper portion size and to eat your daily doses of peanut butter. The weight may not immediately peel off, but you should notice about 1/2 pound of weight loss each week.